Ferocious dragons of the West. Lucky dragons of the East. Meet them and get face to face! Step back a little way into history to reveal a wealth of myths and superstitions about powerful dragons great and small. Discover the legends that surround these mythical beasts – and meet the heroes who fought them! In this dramatically-illustrated book you’ll find sea dragons, Nordic dragons, Chinese dragons, basilisks, chimeras and other dragons from every corner of the world. What if the stories about them were true? Check the evidence and decide for yourself! 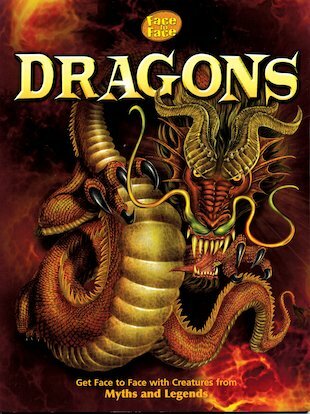 this book was really interesting and i really liked learning about the different types of dragons.